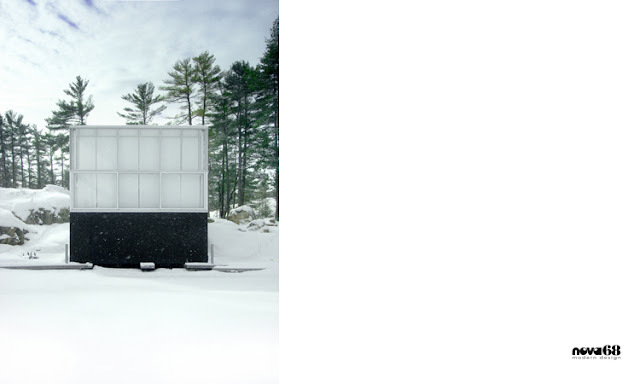 The compact glass form of the Stoney Lake Glass House will please even the fussiest naturalist; a Photographer's Studio on Stoney Lake in Ontario Canada sits on a granite plinth at the water's edge; suspending the building, lantern-like, on the site. Continuously bathed in diffused and undiminished natural light, the transparent façade of the north–facing live/work studio becomes the essential element in a photographic apparatus while transforming the site and surrounding vistas into a sublime, ever–changing backdrop. 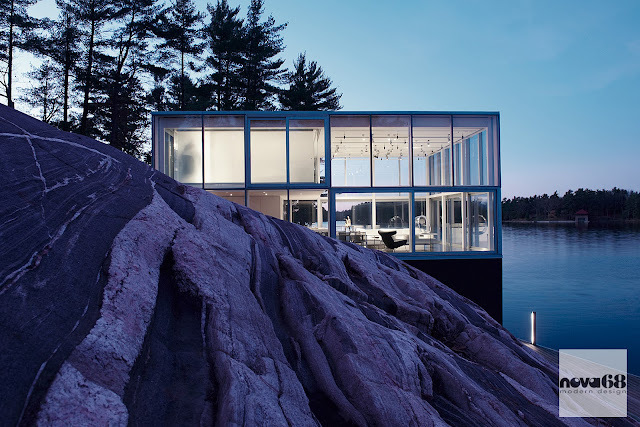 Conceived through a contemporary lens of sustainability, program, site and amenity, the innovative, context-driven design transforms the archetypal glass house to enhance the environmental and programmatic performance of the building, creating an architecture of pure iconic resonance. 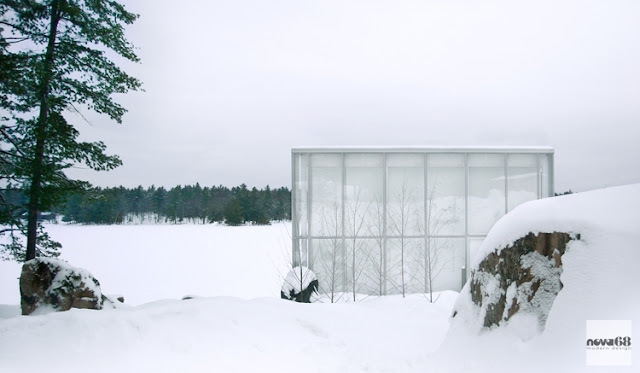 The interior is a spartan reflection of the minimalist architectural clarity of the Stoney Lake Glass House. 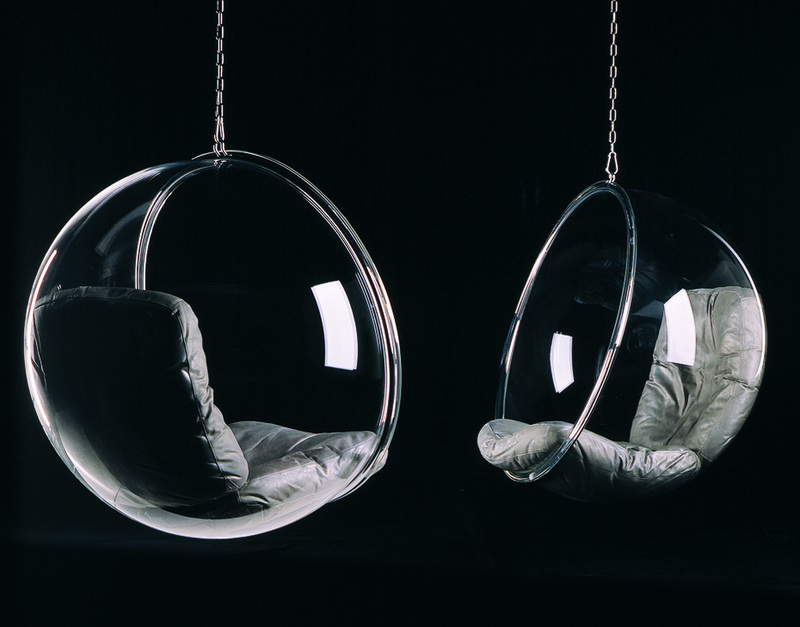 An original Adelta-edition Eero Aarnio Bubble Chair from NOVA68 is suspended in the center of the living space; it's transparent crystal shell further enhances a feeling of spaciousness. 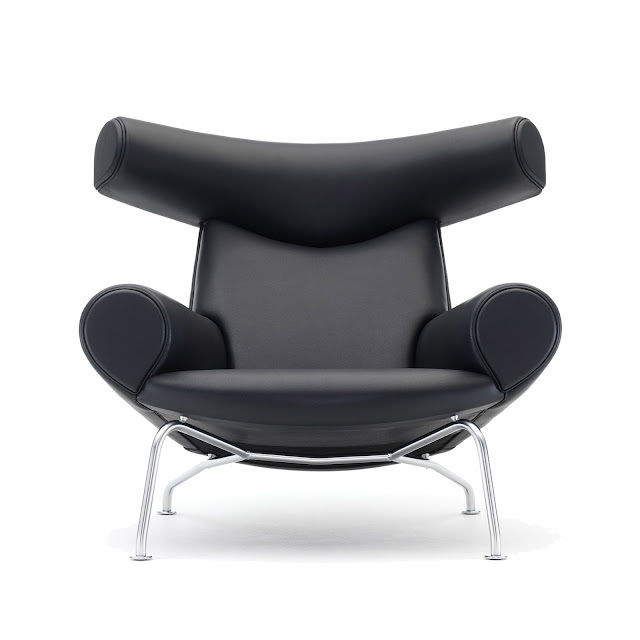 A black leather Hans J. Wegner EJ 100 Ox chair manufacturer by Erik Jørgensen was purchased from Stardust Modern Design. 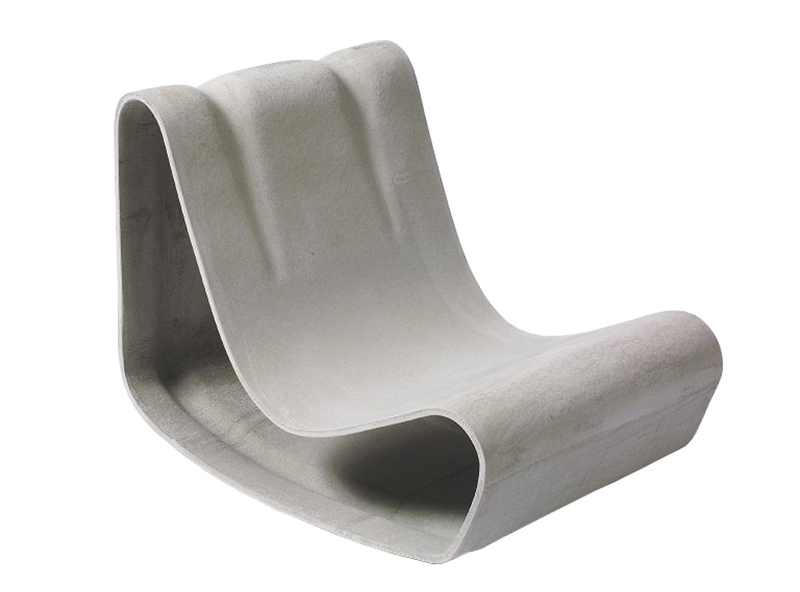 Willy Guhl's iconic modernist Loop Chairs from NOVA68 will be replacing the temporary outdoor chairs.